Hercules has come out with a brand new, two-channel controller sporting dual onboard displays. And we’re off with the NAMM 2015 announcements. 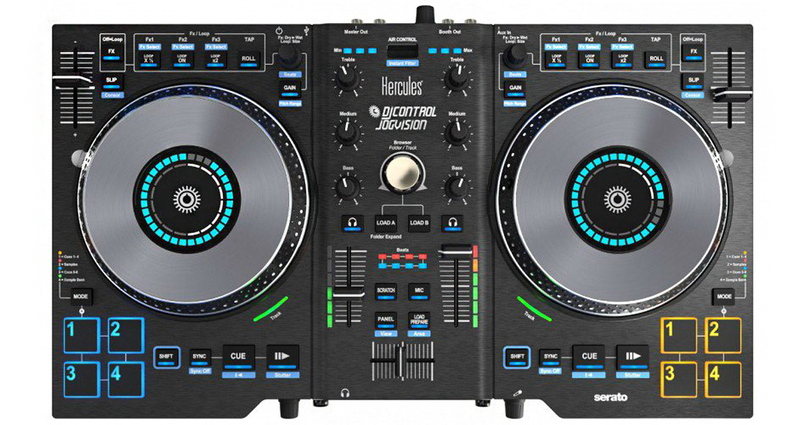 First up this year, Hercules has announced its latest entry into the DJ controller market: The DJControl Jogvision. 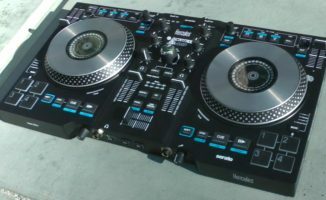 The two-channel controller ships with Serato DJ Intro, and comes with a pair of large jogwheels that have displays built into their centres, much like those found on a standard CDJ. The displays show two rings: The larger, outer one rotates like a platter on a turntable, and the smaller ring shows you the track position using 16 illuminated segments that indicate where you are in a song. 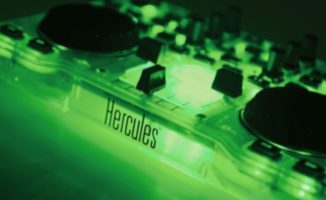 Hercules theorises that by having these two displays on your controller, you can focus more on your performance and your crowd rather than your laptop’s screen. 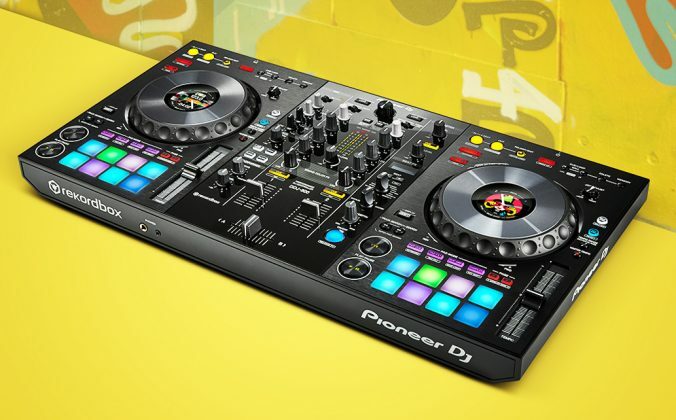 Other features on this device include two banks of four pads for cues, a mixer section, a big knob for scrolling through your library with buttons for loading into decks, an effects section, and the company’s Air Control sensor which lets you tweak effects using simple hand gestures. 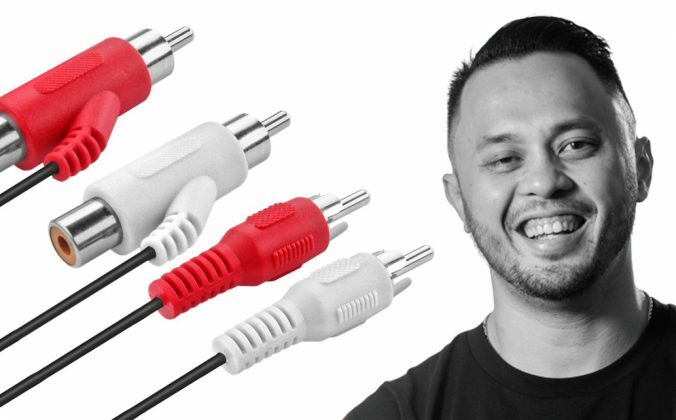 The DJControl Jogvision has both master and booth RCA outputs, a microphone input, a pair of RCA line inputs, and a standard 1/4″ output jack for headphones. 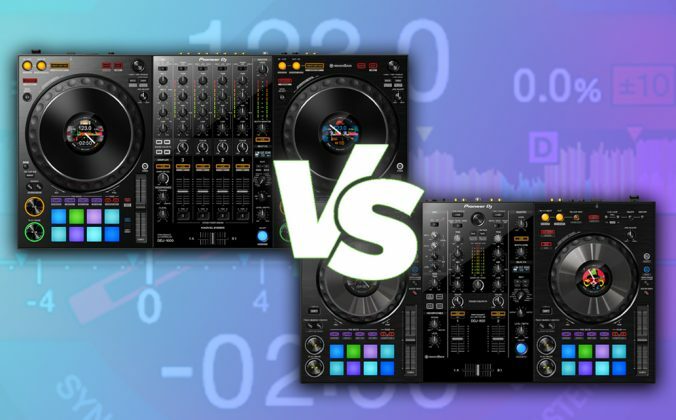 When the Numark NV and Traktor Kontrol S8 debuted last year with onboard displays, they generated a lot of buzz as to what the future of DJ controllers might hold. 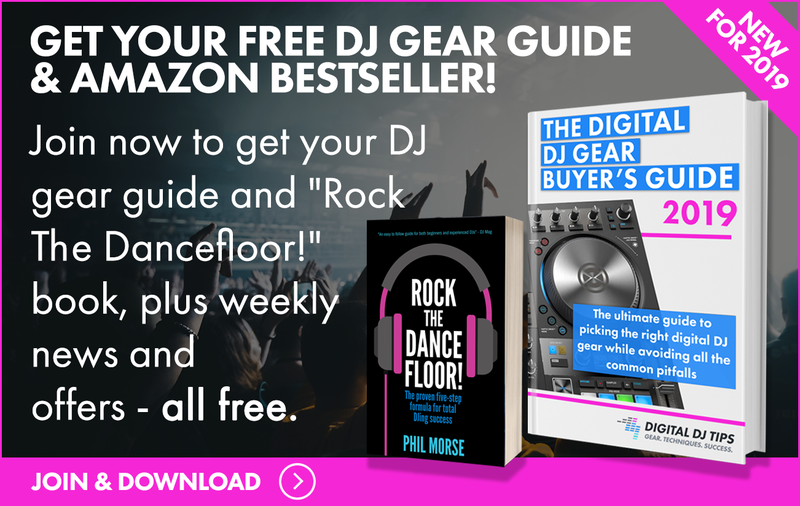 “Screengazing”, or frequently looking at your laptop’s screen while you mix, has often been the plight of the digital DJ since we’re still reliant on our laptop for information and data as we play. 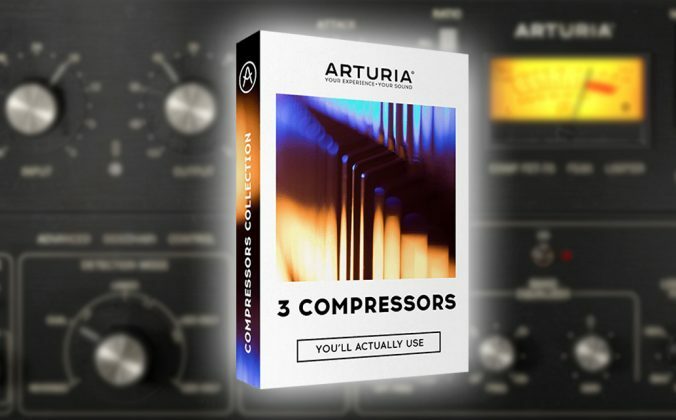 By placing data onto the controller in front of us,the idea is that the computer is relegated to just being the “brain” of your set-up, as opposed to something that you have to check constantly. 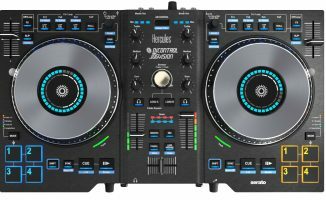 Although the on-bard feedback of the DJControl Jogvision is a little less ambitious, nonetheless it shows a trend towards this, in this case doing something similar to that which Pioneer has used since it introduced the CDJ. 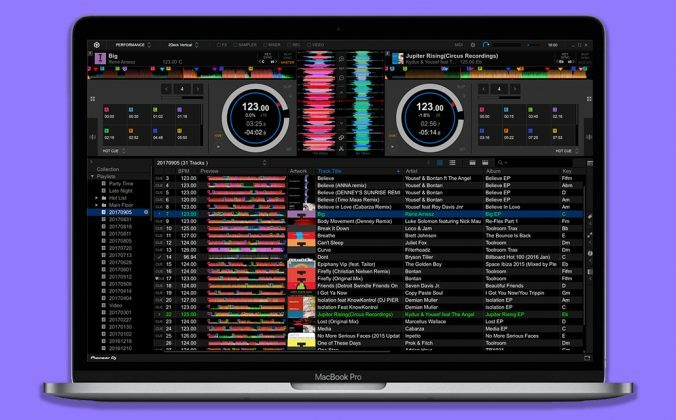 The onboard displays in this case may appeal to scratch DJs who rely on a “sticker” or a mark to tell them where a scratch sample is; as it’s a Serato controller, we’re going to surmise that those jogs are very tight too. 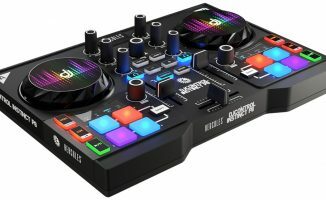 Maybe the bigger news here is that this is yet another controller from a new company (it was Gemini last) that comes with Serato in the box, further cementing Serato’s clear aim to be the go-to DJ software whatever the hardware, but in a controlled way rather than in an ad hoc and therefore quality variant Midi mapping free-for-all kind of way, as in the past with other software. We are of course heading en masse to NAMM 2015! • The DJControl Jogvision will be available from April 2015 for US$299. Find out more at the Hercules website. 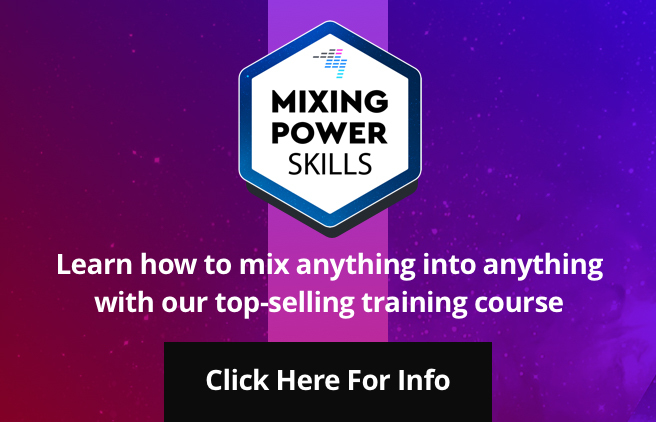 Check out our talkthrough video. Thinking of making the jump to a DJ controller with screens, or feel that they’re gimmicky? Do you think having displays onboard will be the solution to getting rid of laptop screengazing? We’d love to hear your thoughts in the comments below!